Product prices and availability are accurate as of 2019-04-21 09:12:26 UTC and are subject to change. Any price and availability information displayed on http://www.amazon.com/ at the time of purchase will apply to the purchase of this product. 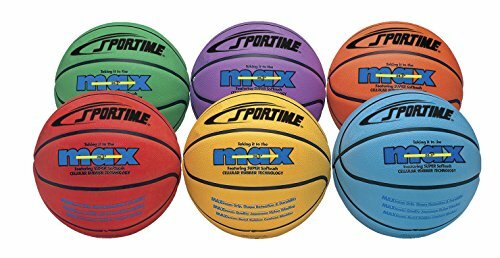 The latex free, Cell-U-Lar Rubber outer cover is durable and makes each ball easy to catch and position for shooting or passing. Every SportimeMax ball is backed by an unconditional 3-year guarantee.